Tomahawk Robotics will be at AUVSI in Denver the 2nd and 3rd of May. Let us know if you would like to meet up at the event to discuss our smartphone based HMI or dexterous robotic manipulation systems. 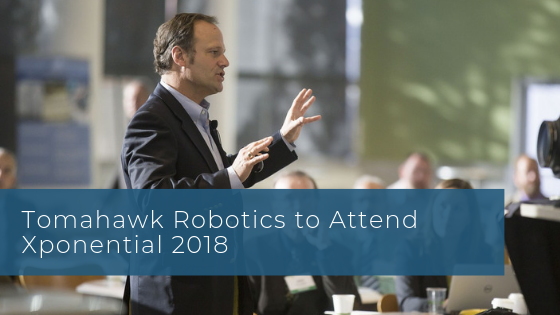 Founded and based in Melbourne Florida, Tomahawk Robotics is a company of experts in control system development and manufacturing for robotics systems. Our goal is to accelerate the mass adoption of robots at scale by leveraging ROS and the portability and accessibility of mobile devices, to create a streamlined robotic internet of things.